My best friend (who taught me photography) had recently moved from Southern California to Tucson and I made a visit out to see him and his wife that winter. Always looking for photo outing opportunities, we stopped by the Tucson Botanic Gardens on a grey day, where I came across this unusual juxtaposition. Photo taken December 27, 2006. 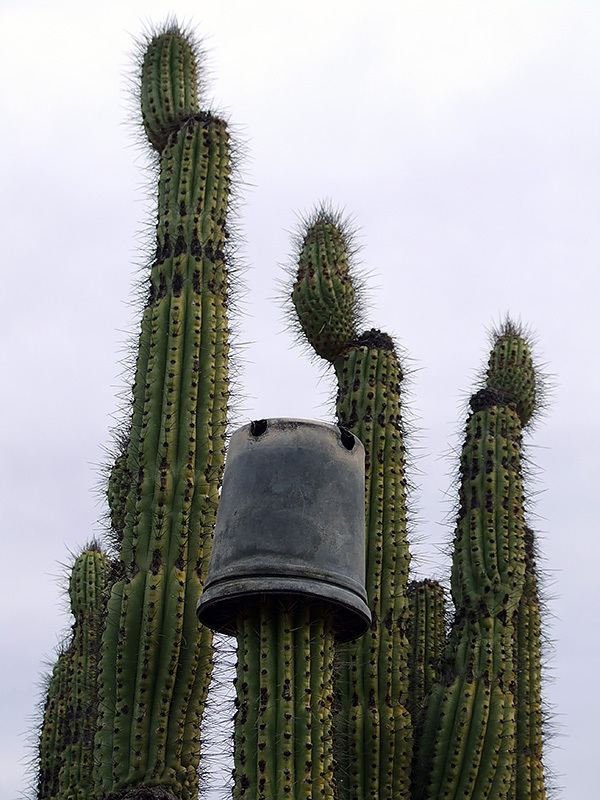 How very bizarre – a cactus with a hat on. Great find.